I am glad to hear (and surprised) that this problem is so interested for some people from abroad. On my opinion, the number of orphans in Ukraine is about 76000. I can explain why I have such number. I can share you with information we had here. Sometimes I visited and took part in press conferences in Zaporozhye, where Zaporozhye regional (oblast') official from children care department tell journalists about situation. 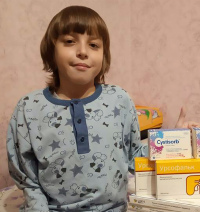 Last official information - 4800 officially registered orphans in Zaporozhye region, and about 1800 of them are in the orphanages (government provided institutions). The rest are in families of guardians, foster parents, family-type children's homes. I need to give you some clarifications on orphan's terminology in Ukraine. - sometimes used for boarding schools, institutions for sick orphans, etc. - usually each oblast' (region) has 1or 2 such baby's home. "Solnishko" is such baby's home in Zaporozhye oblast'. - any school where children live permanently or go to their homes on weekends. Some boarding schools oriented for children with some disabilities (vision, hearing, motion, mental), others are fully oriented for orphans care. So, boarding schools oriented for disabled children can have both orphans children and children who have parents. 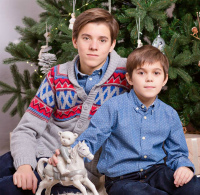 For example, internat #1 of Zaporozhye have 150 children and only 20 of them are orphans. - homes for children, founded on the streets, or remained after dead of parents. There are about 5 asylums in Zaporozhye region. For some children asylum is the first step to become social orphans and to be moved to the boarding school (internat) for orphans. Some children can be given back to their families or to relatives. Usually children spend in asylums less than 3 months (sometimes up to 6 months). Children here mostly haven't yet have officially registered orphans status and not available for adoption. - mainly for children, abandoned by their mothers in maternity hospitals. These children also have no orphans status. 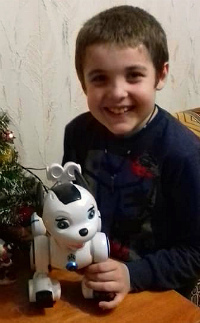 Some Ukrainians who want to adopt very small healthy child, search for such children. So, as you can see, it's not easy way to count exact number of orphans in Ukraine. Many orphanages have no good lawyer, so some people told that about 25% children who live in the orphanages for years, still have no orphans status, so can't be adopted. 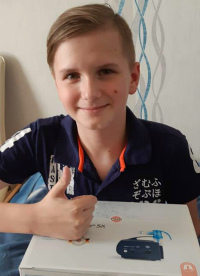 For example, we took our Sasha from the orphanages to our foster family after some waiting time, because Sasha had no orphan status (despite of he had lived in the orphanage for 4 years). He had mistake on his dossier, so he didn't had orphan's status. Also, it's not right position to count only orphans who has orphans status. For example, Sasha and Vitya, who live in my foster family, still have orphans' status, but, really, they already have family and they are not orphans. Now number of foster families and family-type children's homes are permanently increasing, but orphans' number in Ukraine remains the same. So, on my simple calculation (I counted all orphanages of Zaporozhye region), we have about 3000 orphans in our region, and our region is about 1,9 millions population. So, it's about 1/633 population is orphan, so for 48 millions of population of Ukraine we have about 76000 orphans. I really think that we have no more than 100 000 orphans. And 500,000 of orphans - it's lie, of course. We still have orphanages full of older children, but, thanks God, baby's homes have less and less children. 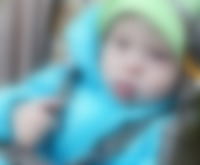 Last year number of babies in "Solnishko" decreases on 50 children (250 instead of 300 last year). So, it's became more and more difficult even for Ukrainians to adopt small healthy child. And, you need to know that government gives enough big financial help on birth of every child - it was $1500 per child last year and can be $2400 this year, and may be 2 times more for second child. So only really drunkard or crazy mothers can abandon their child (and also may be mothers of very sick children). About street kids - I don't think that situation became worse last years - I think vice versa. I started to see less street kids in my city. As result, from one point of view, I really see that situation becomes better year by year (more money given for orphanages repair, nutrition, clothes), at the same time we still have great amount of problems - social adaptation and education of orphans, older orphans, who almost have no chances to be adopted,orphans with serious disabilities (very difficult situation, see http://deti.zp.ua/eng/show_article.php?a_id=5204), graduates of the orphanages. So we have a big field of work with orphans.